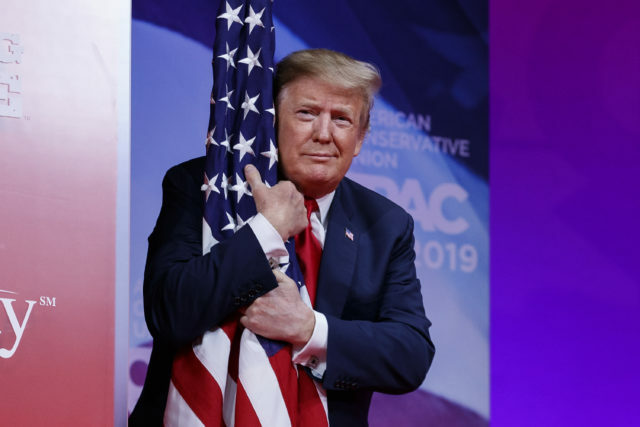 He took aim at the Democrats’ Green New Deal, a policy proposal floated by some liberal Democrats in Congress and backed to varying degrees by several of the party’s 2020 presidential candidates. The Democrat plan calls for a drastic drop in greenhouse gas emissions from fossil fuels such as oil, coal and natural gas, but in no way grounds planes or pivots the country to renewable energy only. With special counsel Robert Mueller’s Russia investigation seemingly approaching its end, Mr Trump spoke of the “collusion delusion” and lashed out at newly empowered House Democrats who are opening new inquiries involving him. House Democrats are undertaking several broad new investigations that reach far beyond Mr Mueller’s focus on Russian interference in the 2016 election and possible collusion between Russians and the Trump campaign. Mr Mueller has not yet brought any public charges alleging a criminal conspiracy between the campaign and Russia, and the investigation continues. Their efforts increased this week after Mr Trump’s former personal lawyer Michael Cohen appeared before two House committees and a Senate committee. In his public testimony before the House Oversight and Reform Committee, Mr Cohen called the president a “con man” and a “cheat” and gave Democrats several new leads for inquiry.